A warning though, before I wrap this up: this book ends with an abrupt cliffhanger. 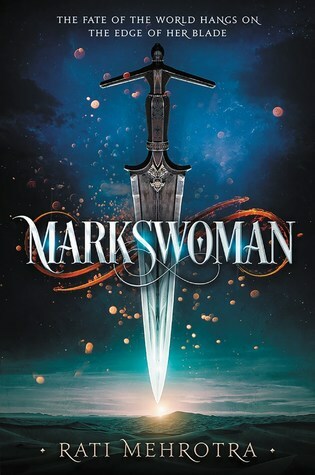 Since I received Markswoman and its sequel Mahimata at the same time for review, I was already prepared to read both books as a whole, but readers who prefer their book endings with actual resolutions may want a heads up. Personally, I’m looking forward to diving into the next one, not only to see what happens next but because I’m also confident that Mahimata will bring much more on the characters, story, and world. I’ll be picking it up soon. I never really heard about this one, but it sounds quite good! This actually came out last year, but since the sequel just came out the publisher sent me both books to review. Thanks for checking it out! Great review. I get your point. Sometimes, a book can be a quick read, but the world-building may not be adequate leaving us wanting for more. Lex Luthor told me that his Bookinator 800 will definitely get rid of cliffhangers. I remember when this came out, everyone seemed to love it. Have fun binge reading! Thank you! I hope to get to the second one soon! Excellent and honest review. But I would have hoped more with such stunning cover! A book that begs to be “consumed” in one day is one to keep an eye out for, indeed! Yeah, it’s just one of those fun, enjoyable books you know you can pick up whenever you want and in whatever mood you’re in and still have a good time! Oh yes I heard that book 2 was going to be released! Yes, I think it’s out now so I best get to it! Hopefully as the series progresses it’ll get a little deeper and more involving. I think I would like this – okay, it’s not maybe as deep and meaningful as it could have been, but you had fun and blasted through it – and sometimes that’s just what’s needed.